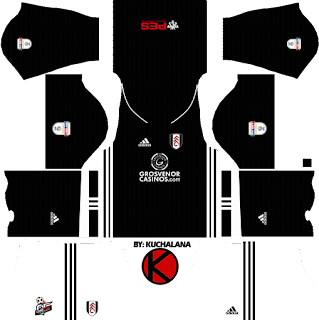 Get the Fulham F.C. kits seasons 2017/2018 for your dream team in Dream League Soccer 2017 and FTS15. 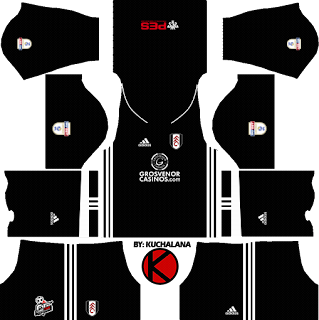 6 Komen untuk "Fulham F.C. 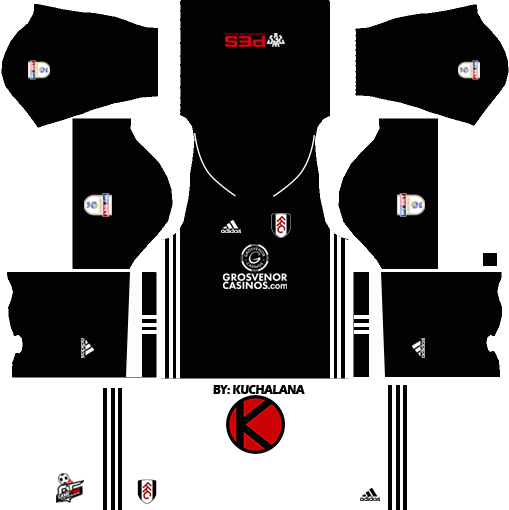 Kits 2017/2018 - Dream League Soccer"
Hi Kuchalana. Sorry to be asking you again but the Fulham FC third kit and third goalkeeper kit has been released. The goalkeeper kit is the same as the home and away goalkeeper kits with the PES logo on the back and Gametime logo on back of shorts. The one difference is that it is yellow and the Adidas stripes etc are black. 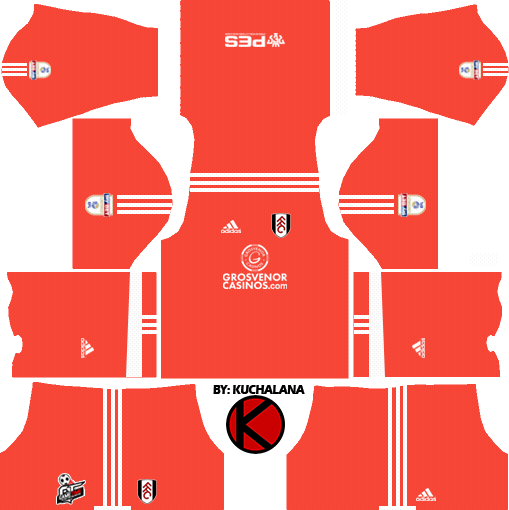 The Third kit is the same as the 2016/17 away kit (which i have attached) except the sponsor is now Grosvenor Casinos in white and the socks are red with white stripes and the shorts are white with no black line along the bottom. The jersey has a white PES logo on the back and also the Gametime hydration logo on the back of shorts. Thanks again kuchalana.